Virtually all expectant women experience marked fatigue in the first trimester of pregnancy--I believe that it's nature's way of trying to make our Moms "slow down a bit and give themselves some TLC". IN CONTRAST, only approximately 33% of women experience consider appreciable nausea; a fraction of these experience considerable vomiting. When vomiting is consistent and extreme, it's known as "Hyperemesis Gravidarum". What are ways to ameliorate nausea/vomiting in early pregnancy? Various dietary adjustments can be tried such as bland foods (toast, crackers, 7 UP, white rice, mashed potatoes) or ginger/ginger ale/ginger tea. I knew 1 pregnant Obstetrician who benefitted awhile from butter,salty mashed potatoes and another friend who did well with hot,spicy chili! Vitamin B6 taken several times per day (capsules, B-Natal, Preggie Pops) can help some women. Lemon water and/or Raspberry Leaf can help others. Treatment from a licensed accupuncturist is definately well proven. There is also a "nausea accupressure point" on the inner wrist--located 2 fingerbreaths down from the wrist crease. There's a bunch of prescription medications we could try such as metoclopromide (Reglan), Compazine, Phenergan, Zofran etc. The worst nausea and vomiting usually resolves by 11-13 weeks of pregnancy. Taking nitetime antacids (i.e. TUMs, Rolaids etc) can also neutralize nitetime stomach acid and lower morning nausea. Although a nuisance, pregnancy-associated nausea is usually a comforting sign that "all is well with the pregnancy"! 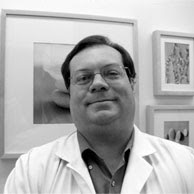 Dr. Richard Kochenburger is a good Gynecologic surgeon. I think if he give training to newcomer Gynecologic surgeons, Alameda will surely have a lot of good Gynecologic surgeons. That’s so nice. I really like this. Thank you for sharing Send gifts to Pakistan same day.